The Best Buddies Jobs program represents one of our organization’s four key mission pillars, Integrated Employment. 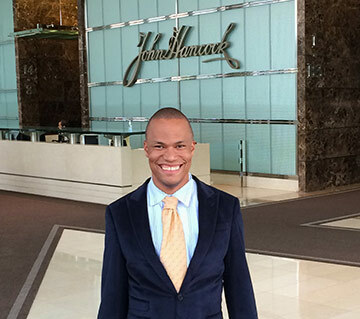 This program secures jobs for people with intellectual and developmental disabilities (IDD), allowing them to earn an income, pay taxes, and continuously and independently support themselves. 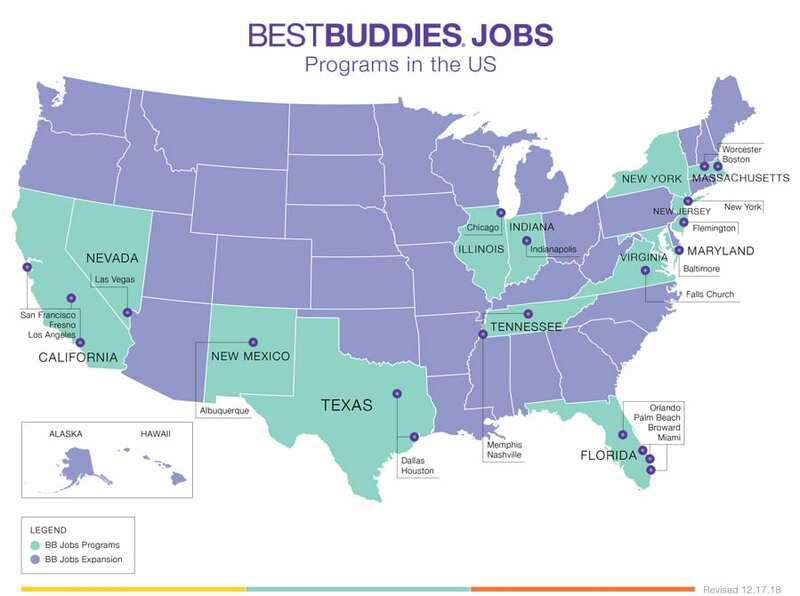 Why should you hire a Best Buddies Jobs participant? With the support of a Best Buddies Employment Consultant, employers will have access to an un-tapped workforce to meet the needs of your business. Best Buddies Jobs candidates bring a range of skills, abilities and qualifications to the workplace. 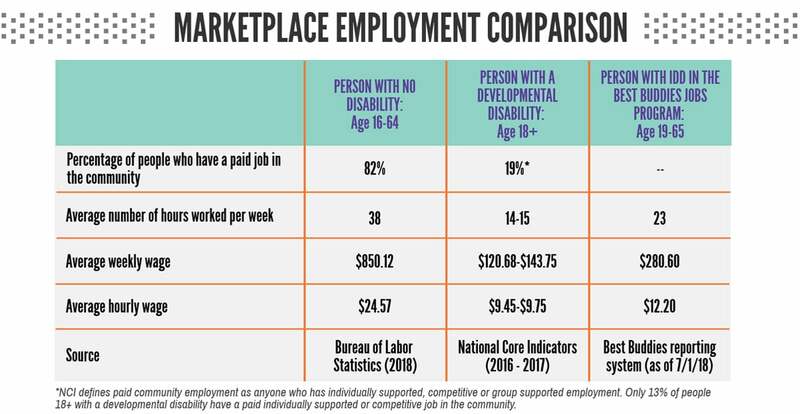 Many businesses already employ workers with disabilities because it makes good business sense. in the Best Buddies Jobs program please access the hire form below. Who can join Best Buddies Jobs? Individuals with IDD who are exiting the school system or are no longer a part of the school system can join the program. 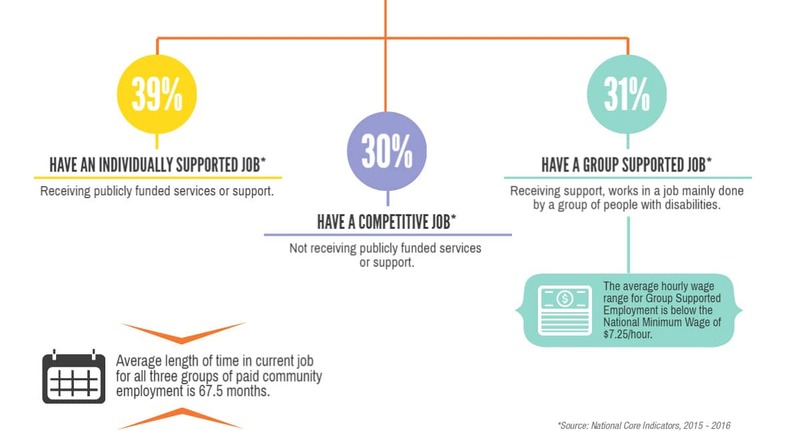 Ideal candidates are those who are seeking support to help identify and maintain jobs in their local community. please access the application form below. Best Buddies Jobs is accredited by CARF International for Community Employment Services. Are you an employer or job candidate who is interested in joining the Best Buddies Jobs program, but need more information?